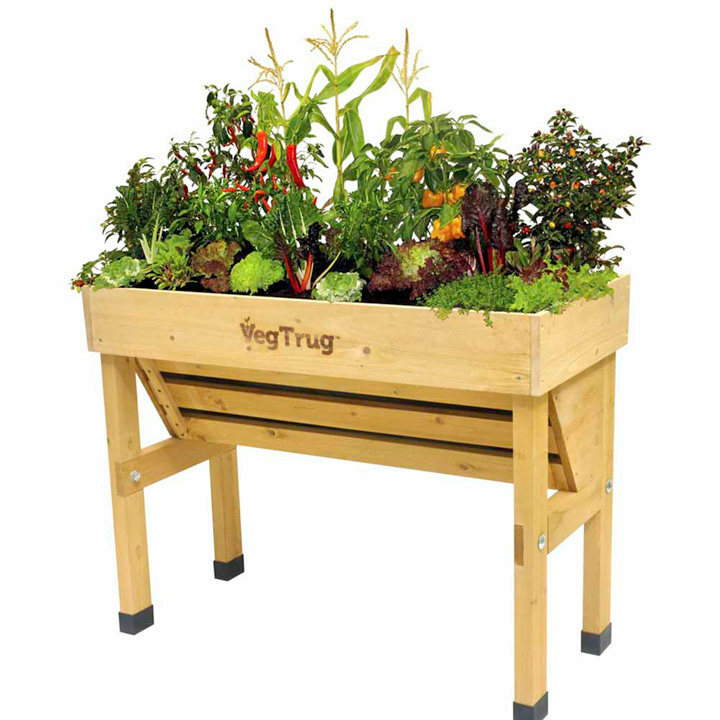 A super addition to our popular VegTrug range. 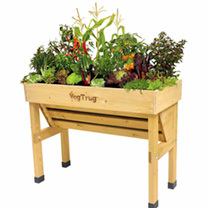 The Wall Huggers have all the superb benefits of the original VegTrug but are only 46cm (18") deep. This makes them ideal for narrow spaces, against a wall, where space is at a premium. 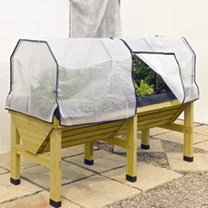 1m Wall Hugger VegTrug - 1m (3'3") wide x 46cm (18") deep x 80cm (2'7") high. Capacity 170 litres. 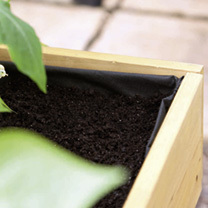 Create a productive mini veg garden on your patio with our sturdy, attractive and popular VegTrugs. They provide a veg patch at easy working height (ideal for the elderly or wheelchair users), and are V-shaped so take less filling while still allowing you to grow crops that need deep soil (like carrots). Made from sustainably sourced fir, with plastic feet and an internal membrane to protect the wood, and treated with veg-friendly wood stain. Flat packed for home assembly.